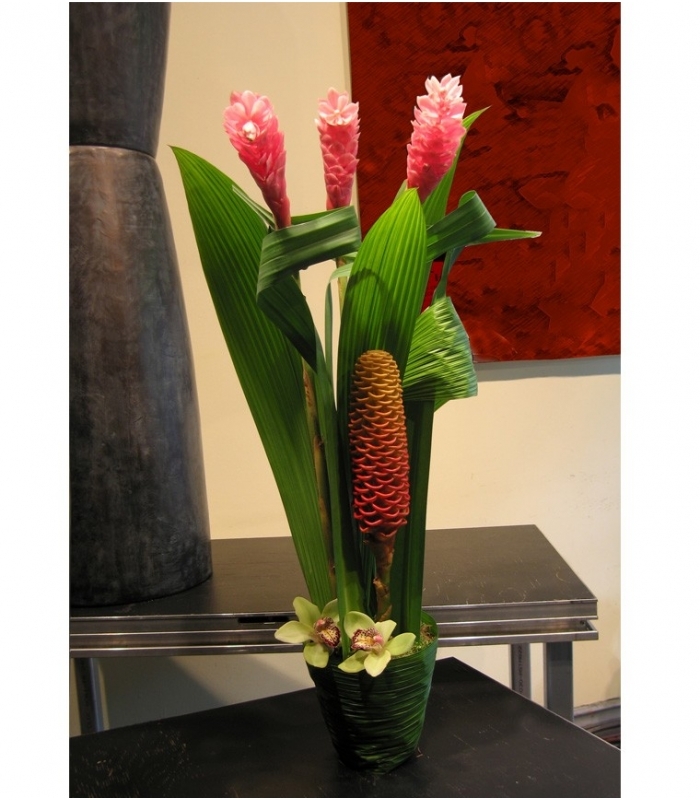 Floral arrangement with tropical flowers from South America. This tall arrangement is designed with pink ginger flowers, one maracas flower and two green cymbidium orchid at its’ base. It is elegantly stylised with folded coco leaves and pendanus foliage. The flowers are inserted in a terracotta pot filled with humid floral foam wrapped with a coco leaf, giving it a tropical feel.